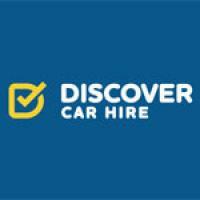 After reading many many reviews about every car hire company in Malta it seemed they were all really bad or dreadful in every way from service to the cars and prices, I then found reviews for Princess car hire and they seemed good which was the only positive reviews I had found so far for any company. I contacted them via email and got a reply and from that point on everything was great I booked 2-3 months before our trip and re confirmed a few days before and all was ok we were met at the airport straight away and taken to our car right outside the airport which was a relief with 2 children under 7 in the heat ( August) and no hassle at all. The car had a few dents which were listed and we took pics but to be honest there isn't a car in Malta or Gozo that doesn't have any it seems they all drive small cars and don't seem to care much about the bodywork. With all the tiny roads and lanes they are the best cars to have ours was a 4 door Hyundai i20 metallic blue we ordered a child seat and booster seat also for our 5 and 7 year old. The car worked well and had aircon a must in August 38-40degrees! I remember you cannot choose an exact car its a selection of family sized cars and you get what is available on the day. We dropped the car off in the carpark at 6am on our last day with no issues outside the airport in the hire car carpark and left for home. 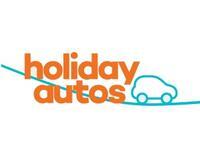 If you are like us wanting a no hassle reliable service without stress use them as my brother in law went with a large main dealer hire company and had a 3.5 hour wait at the airport with a 6 month old baby on your 1st day there with a 1.5 hour journey after to Gozo not what you want but again with every other company you can find they all seems to be that bad.